Our New England summer is heating up and Albert Basse Associates has all the cool signage solutions for your business communication needs. Whether it's out on the sidewalk, in the aisle, or persuading your customers right at the point of sale, we can do it all. Check out some of our graphic solutions in our online portfolio or use the buttons below to navigate to what you need. Got a question? Need a quote? Call us today at 781-344-3555. Or email us at info@albertbasse.com. Have a great summer and don't forget the sunscreen! 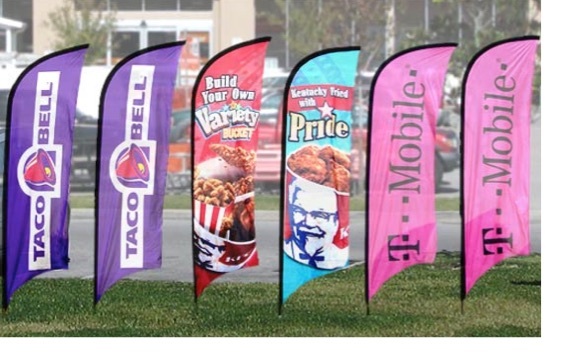 Outdoor banners and flags are perfect for showcasing your brand at outdoor sporting events, concerts, and festivals…. or attracting eyeballs to any retail store promotion. We offer a huuuuuuge array of sizes and graphic options. What's more, we can produce a wide variety of free standing, large-format signs ideal for displaying your message in a durable, weather-resistant format. No matter what your business or display objectives are, ABA has exactly the right indoor/outdoor signage solution that'll make your summer promos a HOT success. 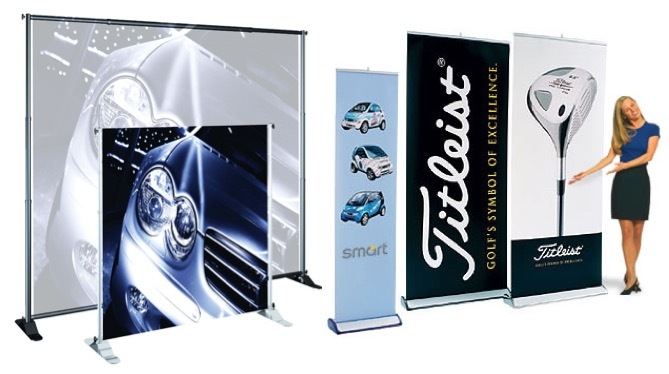 It's trade show season and chances are, you're going to need a banner stand -- or even several. Telescopic banner stands. retractable banner stands, free standing displays, and signage of all kinds are right up our alley! We can work with your graphics department to help come up with great solutions to help you promote your brand and sell your product. We’ve been doing it for over 89 years. So check us out and see what COOL signage solutions ABA can come up with to help with your next rollout.